This primer is meant to educate and guide healthcare providers, executives, attorneys, and compliance professionals on the risk associated with physician compensation arrangements. It is well known that there has been increased regulatory scrutiny around healthcare fraud demonstrated by both sizeable settlements and a surge in qui tam actions. Aside from the more widely perceived violations of the healthcare False Claims Act (“FCA”) cases, which are typically related to upcoding and the provision of unnecessary medical tests, settlements focused on physician arrangements with lucrative compensation continue to grow. While these arrangements are not always perceived as problematic, the risk is real. In addition to significant settlements associated with non-compliant financial arrangements, personal accountability is a growing component of these FCA pursuits. The Yates Memo issued by the Department of Justice (“DOJ”) in 2015 was established to “deter and redress fraud by individuals as well as corporations.” Therefore, from C-level executives to healthcare providers, no one is exempt from sizeable payouts, and even jail time. 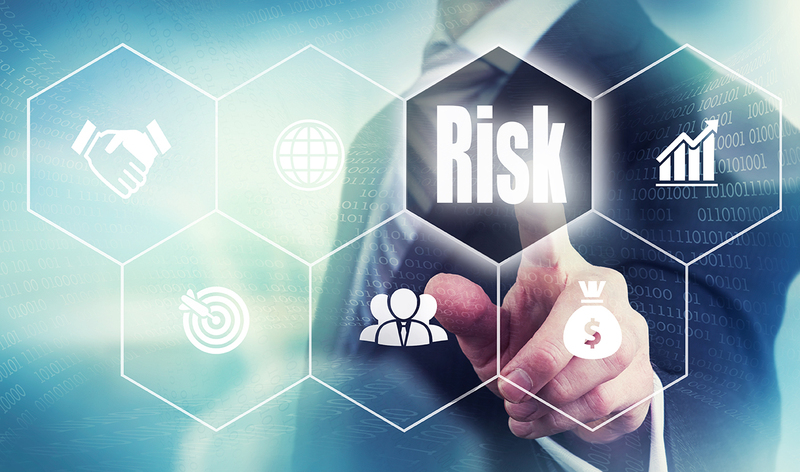 The following will provide an overview of why these financial arrangements are of concern, examples of cases, and guidance to help mitigate this risk. First and foremost, it is important to understand the regulatory standards to which physician compensation arrangements must adhere. In an effort to ensure healthcare entities do not unfairly drive referrals from healthcare providers to their facilities, the fair market value (“FMV”) and commercial reasonableness (“CR”) standards exist. These standards are meant to establish a level playing field for healthcare facilities as they align with physicians. More simply put, facilities are prohibited from attracting physicians by overpaying, undercharging, or entering into a financial arrangement that does not make business sense, absent referrals. The International Glossary of Business Valuation Terms defines FMV compensation as “the price, expressed in terms of cash equivalents, at which property would change hands between a hypothetical willing and able buyer and a hypothetical willing and able seller, acting at arm’s length in an open and unrestricted market, when neither is under compulsion to buy or sell and when both have reasonable knowledge of the relevant facts.” Furthermore, the Stark Law indicates that the FMV compensation must not take into account the volume or value of anticipated or actual referrals generated by the subject provider. Similarly, CR guidance prohibits the consideration of referrals. CR assessments should consider the operational needs, clinical requirements, and economic alternatives to determine whether a subject arrangement with a provider reflects a “sensible, prudent business agreement” from the perspective of all parties involved, “even in the absence of any potential referrals”. Per the Stark Law Phase II rule, CMS again interprets the CR standard as whether it would make commercial sense if entered into by a “reasonable entity of similar type and size and a reasonable physician (or family member or group practice) of similar scope and specialty, even if there were no potential DHS referrals”. Amidst heightened scrutiny by government regulators over physician arrangements, proper documentation that compensation is FMV and that the arrangement is CR, absent referrals, becomes ever more critical. The following highlights cases where the compensation arrangements with providers was deemed problematic by regulatory authorities. Interestingly, it is not always obvious large payments that are the issue. In the case United States ex rel. Drakeford v. Tuomey Healthcare System, Inc. involving part-time employment arrangements between Tuomey Healthcare System, Inc. (“Tuomey”) and 19 specialty physicians, Tuomey paid the subject physicians 131% of their net revenues collected and “full-time” benefits to secure the physicians’ non-compete agreements and outpatient referrals. As part-time physicians, they received full healthcare insurance, comprehensive malpractice premium coverage (including premiums for outpatient procedures as well as office, inpatient and surgical services), and various reimbursement fees related to cell phone, journal, and continuing medical education. Tuomey’s FMV report, a three page opinion with little supporting documentation and no reference to the benefits provisions, indicated the physician compensation was “justifiable” as long as it did not exceed 150% of the 90th percentile. The tiebreaker opinion that was later conducted for both parties concluded that the physician compensation was in excess of FMV, raised referral concerns, and consisted of “unusual provisions” in the employment contracts – including the full-time benefits and unusual long term of the contract (10 years). In the case United States ex rel. Parikh, et al. v. Citizens Medical Center, et al involving a county-owned hospital in Victoria, Texas (“Citizens”), FMV concerns were raised even though Citizens’ employed cardiologists were receiving compensation less than the national median salary in their specialty. CMS commentary around relying on the median percentile as “prudent practice” was dismissed in light of economic factors, including post-employment pay increases and practice losses. In the case United States ex rel. Hammett v. Lexington County Health Services District involving improper financial arrangements with 28 physicians, the employment arrangements consisted of several uncommon provisions that questioned the FMV and CR standards, including a seven-year employment period and material raises (i.e. the relator’s compensation increased from $250,000 to $600,000 post-acquisition, on average). In the case United States ex rel. Reilly v. North Broward Hospital District involving physician employment agreements that were neither FMV nor CR, the compensation paid to the physicians exceeded the 90th percentile of survey data, as well as collections generated. Pro forma and logs tracking hospital contribution margins from inpatient and outpatient services were used to offset practice losses, which is a clear indication that referrals were considered as part of the arrangement. As noted above, the importance of properly documenting and determining FMV and CR for physician arrangements is critical for compliance purposes. In addition, compensation structures that result in unexplained excessive practice losses, the provision of non-cash compensation that would otherwise be incurred by the physician, referral consideration, and material raises over the providers’ historical payments are all potential compliance issues for these arrangements. Finally, facts, assumptions, and circumstances should be validated by the appropriate parties, as an opinion is only as accurate as the data upon which it is based. Non-compliant physician compensation arrangements have the potential to result in civil and criminal penalties, as well as exclusion from federal programs, and loss of tax exempt status. In addition, the focus on personal accountability highlights the increasing stakes for these arrangements. Everyone involved in the compensation process should be educated on FMV, CR and the necessary steps to prevent entering into unsupportable financial arrangements between health systems and providers, especially given the aggressive enforcement climate.